If you are looking for the Massive List of Philippine Horror Film Titles, then you came into the right place. While drama and romantic films are usually aimed for women and action films are to men, the horror and comedy genre will never be out of the picture. It will always have a market. Yours truly is a big fan of the horror film genre. Although I have already have seen a good number of Filipino horror titles in the past, my mind still usually wonders about those hidden horror gems of Philippine cinema. Unfortunately, there aren't that many websites, blogs and forums that offered a complete list of every horror films in the Philippines. Most of these sites doesn't even come remotely close to the number of Filipino horror films that were actually made. 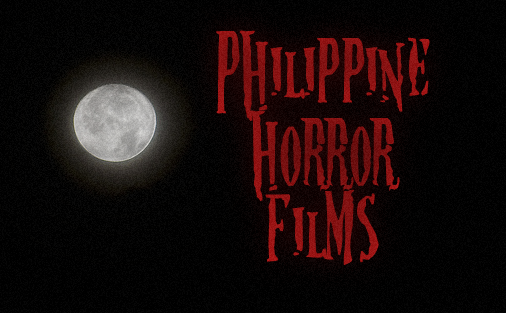 These sites usually have a small list of horror titles consisting mostly of their top list of the best and worst Pinoy horror films which by the way can be very subjective. Even the usual sources like Wiki sites does not have a complete and comprehensive list of Philippine horror films. This is why Pinoy Movie Blogger shall make a complete list or a database of every Philippine horror movie titles. So here we go. You can check out more information (directors, writers and cast) about the Philippine horror film titles listed here on IMDB. So any favorite Pinoy horror movie on the list? Did I miss something? If so which is highly probable, help me complete the list. I obviously don't know every Filipino horror titles especially if they didn't receive any forms of commercial release (mostly relating to Filipino indie films) and classics. If so, then please feel free to drop by the comments section below and suggest titles that I forgot to add. I will definitely include them later on the list. Help me complete the Philippine Horror Film Title Database.